When we think the news can�t get any better� we get a surprise! 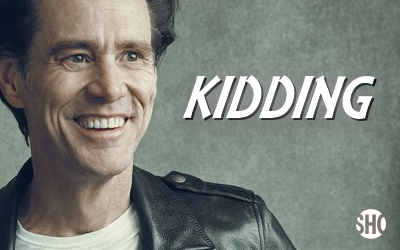 Showtime will have a new half-hour comedy series and Jim Carrey will be staring in it. Michael Gondry, who was the director for �Eternal Sunshine Of The Spotless Mind�, will join Jim again as the director for the series. The title is "Kidding" and Jason Bateman, Jim Garavente (Bad Words), Raffi Adlan (The Green Hornet) and Michael Aguilar (I�m Dying Up Here), along with Jim Carrey himself and Michael Grondry will be the executive producers. Holstein wrote the pilot and will serve as showrunner. This are excellent news! We will get to watch Jim Carrey back on TV. The last time was on �The Living Color� from 1990-1994. We are super happy and filled with expectations! We at JCO will keep you updated as news get even better!